Last week the main environment program in the Beit Shemesh / Jerusalem region was held for the general public. It was run by Renee Halpert from Forum Shemesh Yehuda. About 400 residents participated in the event. 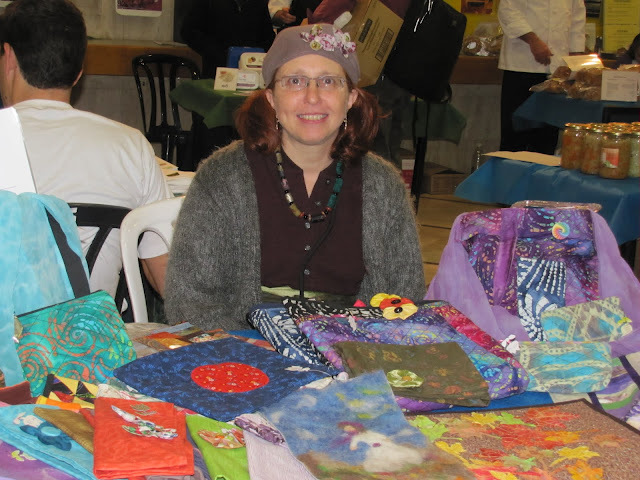 The adults and children alike enjoyed the varied booths selling quality, ecological products. The goal of the event helps to raise the level of environmental awareness and presents ideas for leading a more sustainable lifestyle. 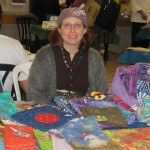 I had a table where I sold handmade quilted & felt needlepoint art & accessories made from all-natural ingredients. Here were some other vendors. In addition to the definite value of the event, everyone had a good time. It was inspiring to take part in this important cause. Click here to see more photos of the event taken by Renee Halpert.